Recent comments from a pro-EU scientist have suggested that the UK is “too small” to be scientifically effective outside of the political structures of the EU – read interview here. Such comments, however, are very hard to square with the fact that the EU only funds a tiny fraction of the UK’s research and development activity. 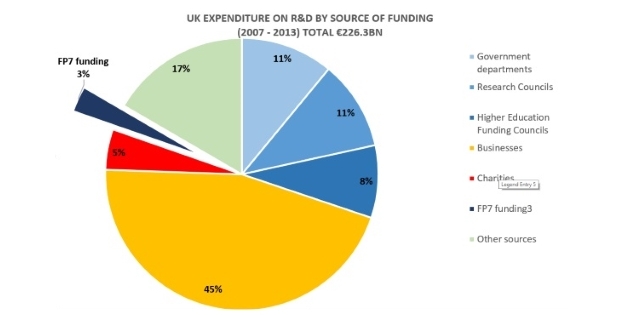 Indeed a recent Royal Society report revealed that from 2007-2013, the EU funded just 3% of UK R&D through it’s Framework Programme 7 (FP7) funding network. The suggestion that 97% of our R&D activity is therefore not effective is somewhat baffling and upsetting to many scientists.